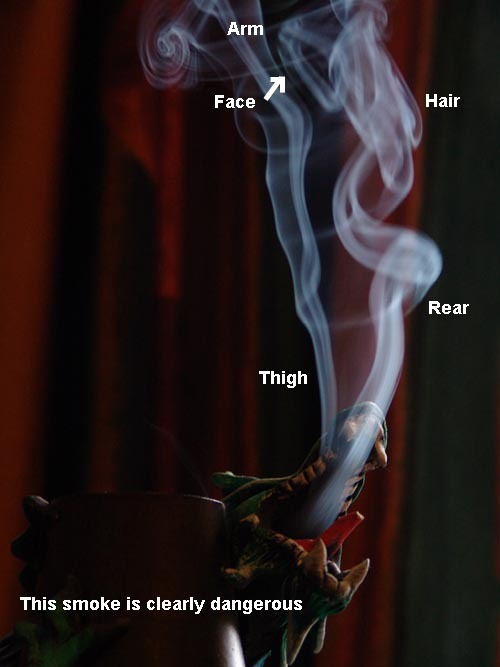 No one could see the lady in the smoke, so I have labelled the photo to help you see her. If you still can’t see her, I’ll start worrying about my sanity. You had better start worrying about your sanity Mr. Anderson. I see no such feminine figure, and your explanations are just hoodoo nonsense to me.